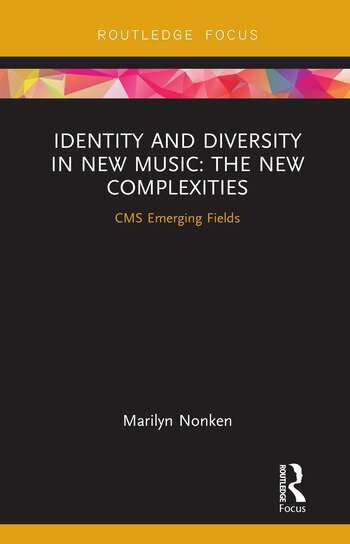 Identity and Diversity in New Music: The New Complexities aims to enrich the discussion of how musicians and educators can best engage with audiences, by addressing issues of diversity and identity which have played a vital role in the reception of new music, but have been little-considered to date. Marilyn Nonken offers an innovative theoretical approach that considers how the environments surrounding new music performances influence listeners’ experiences, drawing on work in ecological psychology. Using four case studies of influential new music ensembles from across the twentieth century, she considers how diversity arises in the musical environment, its impact on artists and creativity, and the events and engagement it makes possible. Ultimately, she connects theory to practice with suggestions for how musicians and educators can make innovative music environments inclusive. Marilyn Nonken is a concert pianist, musicologist, and Associate Professor Music at New York University.